Pit stops are a natural part of any trip whether it’s hitting up In-N-Out on the drive up to San Francisco, popping in for a coffee during a weekend errand, or grabbing a beer on your way into work. (Cough.) 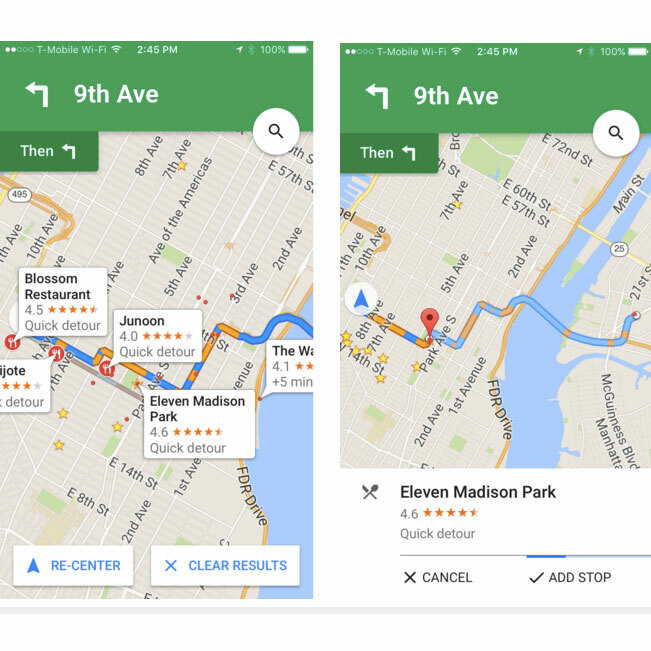 But if you’ve been using Google Maps to navigate journeys on your iPhone, slipping in these small stops has been a hassle. Until now. As an added bonus, the search results also include the ratings for the places you’re looking at. Now you just have to hope those helpful raters mentioned something about the cleanliness of the restroom.